Royal Caribbean International announced today that the Oasis of the Seas will sail from Cape Liberty in Bayonne, New Jersey, starting in May of 2020, offering seven-night cruises to the Bahamas. In addition will be a select number of short cruises to Canada/New England. It was just one of a number of major deployment moves. The Adventure of the Seas will also return to Cape Liberty, sailing a variety of five- and nine-night summer and fall itineraries to Bermuda, New England and Canada, the Bahamas and the Caribbean, according to a press release from Royal Caribbean. The Vision of the Seas will also be based out of Cape Liberty for the fall, sailing three 10- and 11-night cruises between New Jersey and Quebec City, open-jaw. The Symphony of the Seas and her sister ship, the Harmony of the Seas, will return to PortMiami and Port Canaveral, Fla., respectively, offering seven-night itineraries to the Eastern and Western Caribbean. 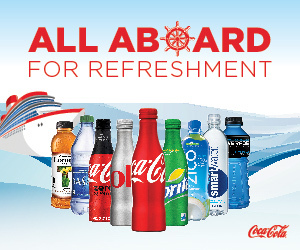 Both ships will feature visits to Perfect Day at CocoCay. The Brilliance of the Seas will be based Boston in the fall, sailing seven- to 10-night cruises to Canada starting in September 2020, while Grandeur of the Seas continues to offer nine-night itineraries to Canada and New England for fall foliage from her year-round homeport in Baltimore. 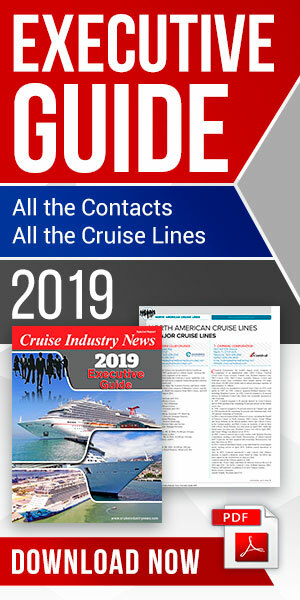 The Grandeur will embark on a combination of five- and nine-ight itineraries to Bermuda and The Bahamas in the summer months, and transition to nine-night Southeast Coast and Bahamas and 12-night Southern Caribbean cruises for the winter. In 2020, San Juan will welcome the Freedom of the Seas. The largest ship to ever homeport in San Juan will return for the third consecutive year to sail seven-night itineraries year-round throughout the Southern Caribbean, Royal Caribbean announced. The Liberty of the Seas will continue sail from Galveston to the Western Caribbean. Also sailing from Galveston, the Enchantment of the Seas will offer four- and five-night Western Caribbean sailings in the summer. The Mariner of the Seas and Navigator of the Seas will continue to stay in the short cruise market, the company said. The Mariner will continue to sail from Port Canaveral in Orlando, Fla., while the Navigator will stay in Miami. Across the Atlantic, the Anthem of the Seas will return to Southampton, offering cruises in Europe for summer 2020 including the Mediterranean, Northern Europe and the Canary Islands. The Independence of the Seas will also return to Southampton for the season and sail seven- to 14-night cruises around the Norwegian Fjords, Canary Islands and North Africa, Scandinavia & Russia, and the Mediterranean, including new destinations Agadir and Ponta Delgada. The Allure of the Seas and Explorer of the Seas will aslo sail in Europe in 2020. The Allure of the Seas will be the first Royal Amplified Oasis Class ship in Europe, offering seven-night Western Mediterranean itineraries that depart from Barcelona. From Rome, the the Explorer will offer a mix of seven- to 12-night sailings. The Vision of the Seas will join Allure in Barcelona for the summer and fall seasons to offer travelers 12-night cruises across the Mediterranean, as Rhapsody of the Seas returns to Venice, Italy for the summer to offer shorter itineraries, alternating between Greece and Croatia and the Greek Isles. Copenhagen will welcome Jewel of the Seas for the season, as the ship sails a mix of seven-night itineraries through the Norwegian Fjords and Scandinavia and Russia. The Brilliance of the Seas will return to Amsterdam for a third summer, sailing 12-night Baltic itineraries and a special 12-night sailing around the British Isles.